Anyone who has been mushroom hunting will be familiar with the experience of walking for hours and not seeing a single specimen. Yet the minute you locate your first mushroom, they suddenly appear everywhere. Known interchangeably as the Baader-Meinhof phenomenon and the frequency illusion, such shifts in perception are the result of our brain’s extraordinary capacity to spot and interpret patterns. Once we notice something, we’re much more likely to take note when we come across it again. Without realizing it, we’ve had a shift in consciousness. 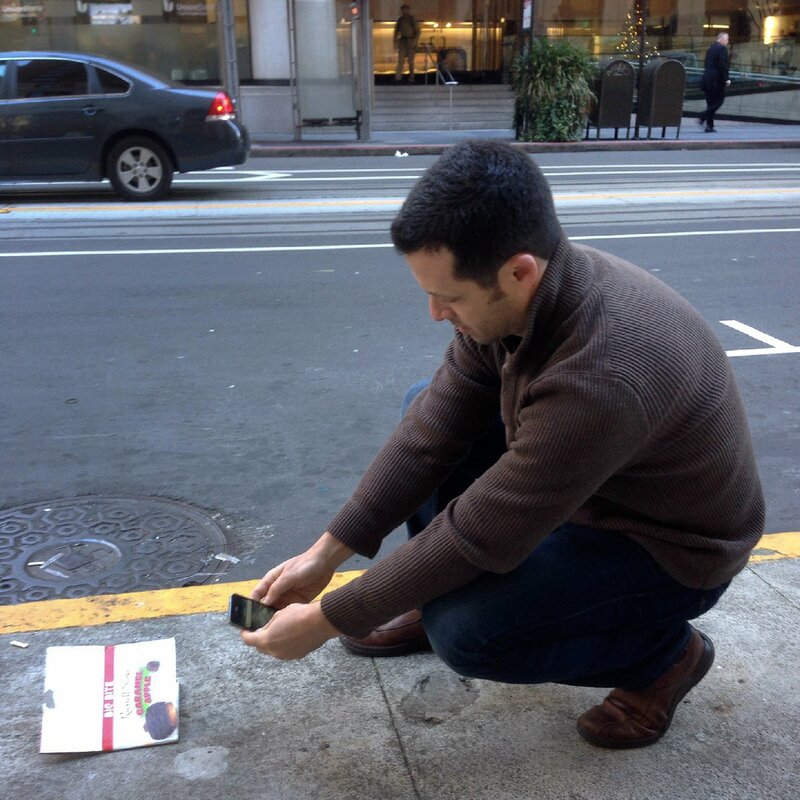 Litterati founder Jeff Kirshner tags a piece of litter in Oakland, CA. For tech entrepreneur Jeff Kirschner, this phenomenon may hold the key to solving a uniquely modern problem — litter. It all started when he took a walk in the woods with his children. Our culture’s tendency to litter has wide-reaching consequences. According to a recent study over 75 percent of us admit to littering. So what’s the big deal? When litter doesn’t make it to a recycling center or trash bin, it ends up in the natural world. For example, a Plymouth University study found that one-third of fish caught in the English Channel were contaminated with microplastics in their intestinal tracts, something to think about over your next plate of fish and chips! Because we humans sit toward the top of the food chain, any contamination of fish or animals eventually works its way back up to us. 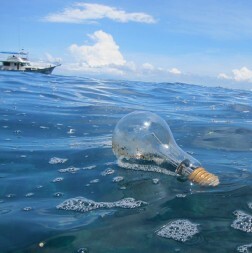 A light bulb moment for #Litterati user @goproinparadise. This image was taken off the coast of Koh Phi Phi, Thailand. Kirschner started thinking about how technology might make a difference, and the result was Litterati, a new kind of social network based on a shared determination to see and take responsibility for the mess that we have created. Using smart phones, Litterati users take photos of trash. They share them via Instagram using the hashtag #litterati, and then they dispose of the trash responsibly. The result is an ever-growing “virtual landfill,” which serves as a striking reminder of just how much we waste as a culture. As a recent recruit, I can attest that the experience is surprisingly addictive, and I can report a distinct shift in perception. Once you start photographing cigarette packets on the sidewalk or Coke cans in a ditch, you also start noticing what else is being thrown away — old bandages, store receipts, condoms, beer cans — and you are confronted with an unavoidable realization. This stuff is literally everywhere. Litterati users across the world have documented – and presumably discarded – over 27,000 pieces of trash. Click to enlarge. 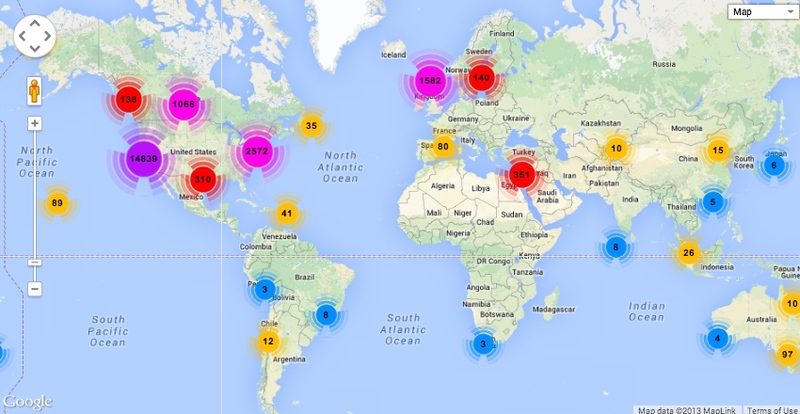 Litterati doesn’t just help us see litter — it also empowers users to do something about it. By creating a community of like-minded activists, Litterati helps normalize the act of picking up other people’s trash. Crucially, by mapping where litter is occurring and what it consists of, it also creates an important feedback loop for companies and municipalities to better understand the scope of the problem and to take more effective action. Where Litterati goes from here remains to be seen. It has already garnered attention from media outlets like USA Today, and there are ideas to “gamify” the platform to encourage friendly competition among users and even communities. Kirschner enthusiastically imagines a competitive Litterati-empowered trash pickup among communities across the world. Ultimately, though, Kirschner insisted that Litterati is about cooperation, not competition, and taking positive action, not pointing fingers. Sami, this is wonderful. I love seeing people using technologies to help us reframe our view of the world. Let’s talk in 2014, I have an idea I am working on that I’d like to bounce off of you. Sami Grover is a writer, blogger, brand strategist and activist based out of Durham, North Carolina. He is also Creative Director and co-owner at The Change Creation. Sami contributes regularly to TreeHugger and Mother Nature Network. You can also find his musings at ETSY Blog, NC Sustainability Center, HuffPost Green and Don't Sell Bodies. When he's not busy writing, he's probably obsessing over his compost pile.